A recent study published in The Lancet found that low salt intake in patients with hypertension actually increases the chance of cardiovascular diseases resulting in death. This large worldwide study outcome suggests that patients with hypertension consuming low salt diet are more prone to heart diseases as compared to patients with average salt consumption. This new study shows that the risks associated with low-sodium intake less than three grams per day are consistent regardless of a patient's hypertension status. This study was conducted at Population Health Research Institute (PHRI) of McMaster University and Hamilton Health Sciences. This study involved more than 130,000 people from 49 countries. Researchers observed for the relation between sodium (salt) intake and death in people with high blood pressure compared to those with normal blood pressure. It was found that the people with high blood pressure were more prone to heart disease and stroke. 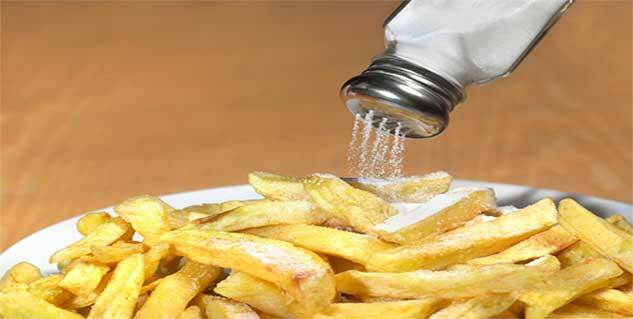 The study outcome suggests for a targeted salt reduction in parts of central Asia or China. The recommended dietary allowance (RDA) is 1.6g/70 mmol sodium (4g salt) per day for adults. This RDA level is so low and it does not vary with blood pressure level of a person.